Scroll down to read their stories! Meet Jessica Blanco, owner of Central Coast Beauties, and a holistic skin care therapist and make-up artist! Central Coast Beauties is an all-natural beauty bar featuring innovative natural products, clean skincare, and treatments. Jessica started as a freelance makeup artist and has been working in the industry for over 10 years. She always had a dream of having her own studio, but for her it never quite felt attainable. In 2016 her father brought her a flyer for MCSC & the Women’s Business Center’s class, “Start, Run, & Grow Your Business.” A 12-week course on the in's and out’s of starting a business. With her family’s encouragement she enrolled and dove into making her dream a reality. It was the beginning of 2018 when she signed the lease for her very own studio in Grover Beach, California and took the next step into entrepreneurship. Now Central Coast Beauties is open for business and Jessica is using her gifts to help pamper clients. From education on natural, conscious products to helping women with chronic pain, to busy mommas, like herself, Jessica assists clients in developing a self-care routine that will help reflect their inner beauty on the outside. Jessica says her favorite part of the job is getting to connect with her clients, helping them with pain management and educating people on alternatives to self-care that are safer and better for your body and the environment. Ultimately making her clients feel nourished and loved. Making the invisible, visible through personal branding and lifestyle portraits, Gina Cinardo is dedicated to capturing the authenticity and natural beauty of her clients creating an unforgettable photo and everlasting experience. Gina is a true artist with over 25 years of photography experience. 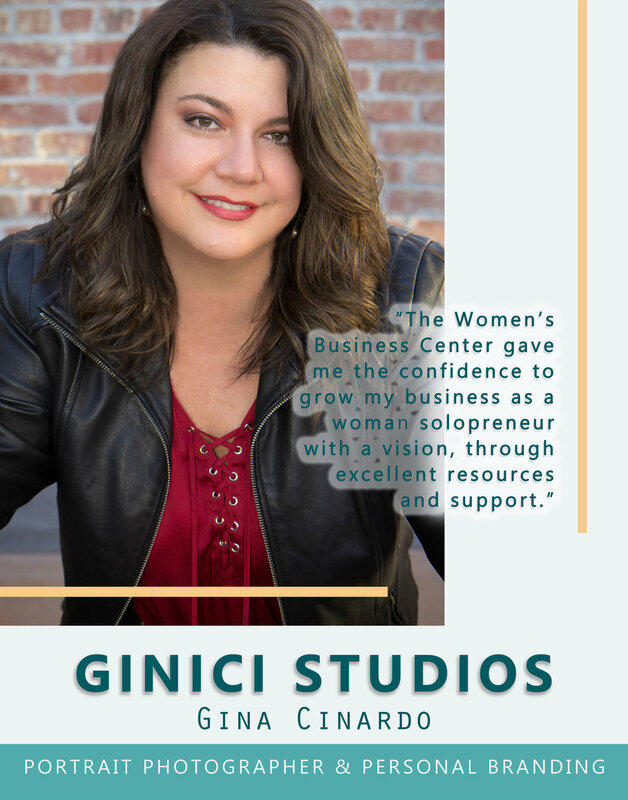 In 2010, Gina moved to San Luis Obispo and opened her business, Ginici Studios. Seeking startup assistance, she was referred to MCSC’s Women’s Business Center and enrolled in the ‘Start, Run & Grow Your Business’ entrepreneurial training course. Upon graduating Gina benefited greatly from the marketing assistance she received from this course. In the first few years of her business Gina struggled with turning a profit. With assistance from WBC consultants she was able to shift her focus from business expenses to her current flow of income, which resulted in a better pricing structure for her products/packages. In her third year of business she turned a profit. Gina’s revenue is steadily increasing on an annual basis. Authentic, high quality, locally bought fresh ingredients-that’s what it’s about. A warm, and friendly ambiance away from the downtown chaos, Kumi-Ko Japanese restaurant has crafted the perfect combination of experience, quality and affordability! In March 2017 Rene Gonzalez was presented the opportunity to take sole ownership of Kumi-Ko after working there as head chef. Being a sushi chef with 15 years of experience Rene reached out to the Women’s Business Center (WBC) for steadfast assistance in acquiring a business. He enrolled in our ‘Empezando Su Negocio’ entrepreneurial training course. Within three months of being enrolled Rene gained invaluable knowledge on how to buy a business, draft and finalize a legally binding contract, and how to support his team in this transition through effective communication. Valuing company culture and employee happiness Rene and his team celebrates it’s first year of success since the acquisition. Adorn Mindfully. Support Artistry. Elevate Humanity. This is the motto behind ‘Tradespirit’, a mobile boutique and online store located in San Luis Obispo, California. It is Jen Chen’s vision to offer stylish and comfortable fashions for women of all ages that are made with quality, and with conscience. Jen left her unhappy career in the corporate advertising world in November of 2016 with a dream and a faithful leap into the unknown. 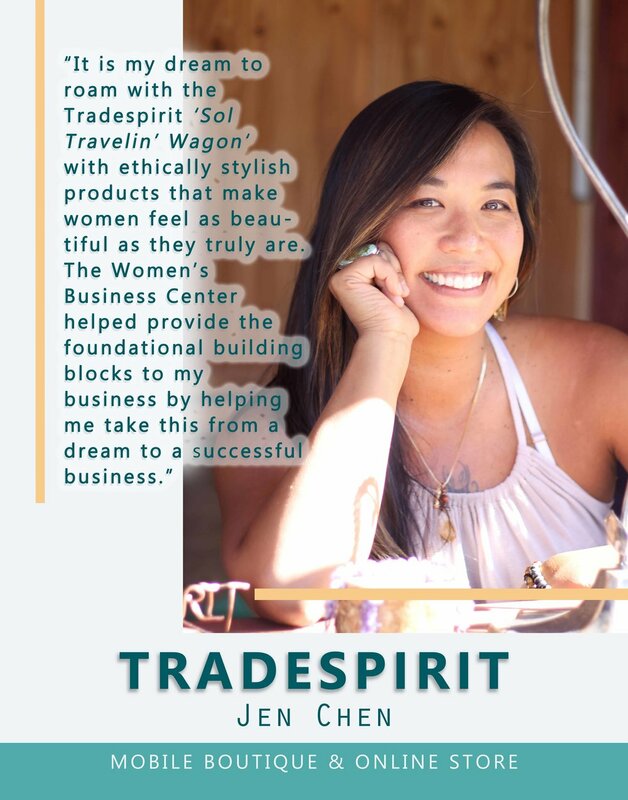 She began her entrepreneurial journey by enrolling in the MCSC’S Women’s Business Center’s entrepreneurial training program called “Start, Run, & Grow Your Business.” This twelve-week course gave Jen the initial tools and courage to start navigating the waters of self-employment. Sabrina Pratt is an actress, director and comedian with over 15 years of improv and sketch comedy experience. But being funny and making people laugh is only a small part of what Sabrina Pratt does. As the owner of Central Coast Comedy Theater, Sabrina and her ensemble produce 5-6, two hour shows monthly. Additionally, she teaches 6-week improv and sketch sessions. Through her classes and ensemble performances Sabrina creates a safe and playful environment for adults to express their inner being, “the part that is weird and irreverent and creative and juicy”- the part of every adult that is so easily and often suppressed. Sabrina is passionate about “guiding people through the process of getting out of their own way.” She believes that comedy theater is an effective outlet to be bold and creative. In summer of 2016, Sabrina felt a strong compulsion to take the Women’s Business Center’s entrepreneurial training program. She quickly found that she was dreaming too small and was inspired to dream bigger. After Sabrina graduated she walked away with a new perspective and practical knowledge of small business ownership including how to monetize her passion and forecast for success. In August of that year she took the leap of faith to start her business. The business is flourishing as she celebrates over a year of success. She is continuing to seek guidance from WBC Consultants, Polly Mertens and Steve Mathis. Through this mentorship she is hoping to secure a loan for a local brick and mortar comedy theater where she can provide a warm, welcoming, and joyful experience to her students and her audience. As a child Ana Rodarte loved to watch her mother and grandmother cook. As an adult, she was always making food for friends, who all told her she needed her own restaurant, and her entrepreneurial dreams took form. Ana enrolled in MCSC’s Spanish business startup course “Empezando” where she gained invaluable business information. 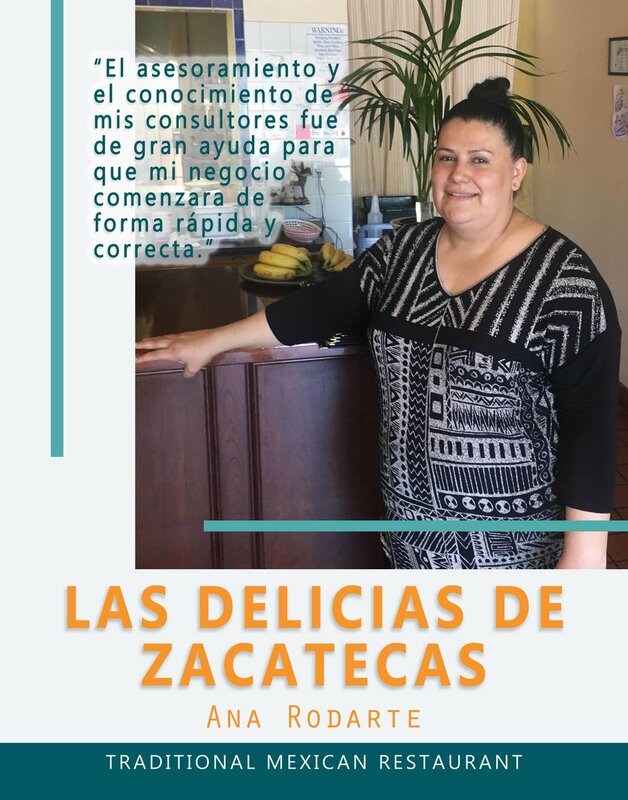 After the class ended, Ana received an opportunity to purchase a business and turn it into the restaurant she always dreamed of! Ana now has seven employees and is recruiting more employees to support her growth. Anna gives back to the MCSC community on a regular basis by volunteering as a guest speaker. She emphasizes to all students, the importance of obtaining knowledge, and creating an on-going relationship with an organization such as MCSC. In the beginning stages of building a new business, and being responsible for marketing, networking, operations, sales, etc., Carol soon realized that she could not do it all on her own without some help. While attending a San Luis Obispo Chamber of Commerce breakfast meeting, she met Chuck Jehle, Program Director of Women in Business of MCSC. At the end of their thirty minute conversation, she applied for MCSC’s Start, Run, Grow Your Business 12 week program, and the rest, as they say, is history. Carol added that she realized she was being presented with an opportunity to gain knowledge and support from both classmates and professionals who were behind her and her mission. During the course, she met with MCSC counselor, Lorna Whiteaker and continues to consult with Lorna on an as-needed basis. Before attending MCSC’s course, she was considering applying for a full-time job working for someone else. After taking the course, Carol’s business has grown exponentially and has successfully reached milestones that she learned how to set in class. Additionally, through MCSC and its workshops, Carol has made valuable business connections and quadrupled her monthly revenue. She is now full time in her business and has hired two independent contractors to help with specific tasks and has partnered with other businesswomen in the community who are interested in helping her achieve her goals. As Brooke’s message and reach began to expand, she realized she needed some professional support concerning the day-to-day operations of running a business. She reached out to Mission Community Services Corporation, who introduced her to Lorna Whiteaker, an MCSC consultant. 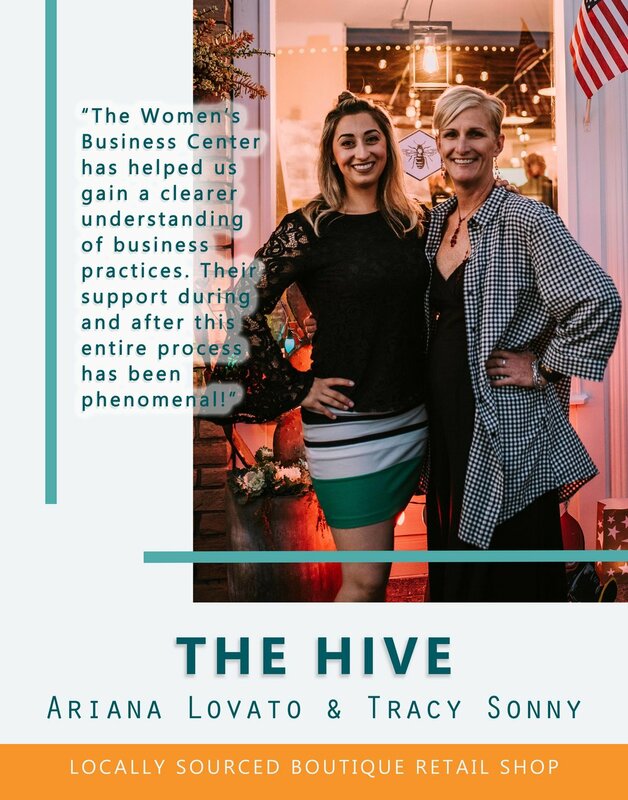 Lorna helped Brooke evaluate where she was in terms of her finances, showed her the path to financial stability, and encouraged her to have a broad vision for her business. “She seemed to know just what I needed right when I needed it. She helped steer me in the direction of my big goals – one movement, one breath at a time.” Brooke says. “Whether you are starting a business or pursuing wellness, you have to be willing to do what it takes. Willingness brings awareness, and awareness brings action!” Well said, Brooke! Renee knew that when she was passionate about a project, she was unstoppable, and one of her strongest passions came from something that she had discovered about herself. Renee found her own personal identity by dressing in a completely gender-neutral way. In considering this as a business opportunity, she knew that people rally behind brands, and Renee discovered that there were no brands that fit the gender-neutral niche. This was a perfect opportunity for her. When she started researching how to start a business, all she found was lots of “big picture” information, but nothing that gave her real structure, or showed her how to put it all together and prioritize all of the small pieces. Renee decided she needed someone to help her make sense of it all. MSCS consultant Lorna Whiteaker showed her to see more clearly what steps she needed to take. One of her first tasks was to complete a business plan. Having to write a business plan and work all the numbers allowed Renee to better identify what her financial risks were and how much risk was reasonable. It also brought up questions she had never thought to ask. Renee ended up turning her original idea for operating her business around 180 degrees. She thinks it is a common misconception that entrepreneurs can get by without a business plan, because now she knows it just isn’t true. Renee’s business, Androgynous Fox, now has over 6,000 loyal followers on Instagram and an online presence that is expanding every day. Her line of gender-neutral clothing and accessories has been very well received by her niche market. One of the things that she didn’t take into consideration when she started was that there was going to be an emotional component. People have reached out to her to say that her clothing and the community she has built online has given them a “sense of belonging.” While she is all about building community, she was also surprised at how emotionally gratifying it was when it actually happened. The time Renee spent with her MCSC counselor was so valuable that she says she only wishes she had started sooner. While she knows she must hold herself accountable as a business owner, having someone else set deadlines and hold her accountable for the specific action steps made all the difference. An avid bicyclist, Liz wanted to start a business that incorporated her passions and her practical nature. She hoped to develop a line of clothing that could be worn comfortably on a bike, yet look fashionable and professional for work. It was important for Liz to create a product out of sustainable materials, but she soon found that everything she needed to learn – about sourcing, manufacturing, and marketing -- was overwhelming. She needed help. Liz learned about MCSC’s Start, Run, and Grow Your Business class in the spring of 2014, and found it to be just the springboard she needed. She says that working on her business plan was crucial to being able to see the big picture of what was involved in becoming an entrepreneur. “It helped me to see the details I needed to organize in order to start my business.” But, it wasn’t just the business plan that helped her get started. She says the weekly lessons, classmate support, and the homework assigned by MCSC instructor Ken Kehs was invaluable to keep her on track. As most entrepreneurs know, sometimes it is necessary to adjust plans in light of new or changing circumstances. While Liz was busy researching manufacturing options and studying sewing patterns for her bike clothing, it became clear that it would take more time and money than her financials could stand. So she began to repurpose thrift-store clothing to make into hats, gloves, and aprons, to create an immediate income. She soon realized that the low unit cost and short production time of making these “upcycled” accessories opened a new door for her. “I could not have started my business without my MCSC consultant.” Liz says, “She was crucial in helping me stay focused by showing me how to set my short-term goals, and giving me assignments with deadlines." After just a short minute talking with Laura, you can feel the energy and excitement she has for her business. Mrs. Jeffrey started 101 Wine Tours out of a passion for wine, people and travel. While driving her out-of-town friends and family around to all of the beautiful Wineries of the Central Coast she had the idea for her business, and 101 Wine Tours was born! Her goal was to sell a unique experience to her clients, and she accomplishes that by educating them about wines and wineries, documenting her tours through photographs, and interacting with the clients and vintners. Before contacting Mission Community Services Corporation, Laura bought a Mercedes bus and planned some tours, but she soon discovered she was in a little over her head. She met with MCSC consultant Ken Kehs, who helped her to organize her finances, manage her advertising, and learn business management. In fact, it was while sitting in Ken’s office at their initial meeting that she booked her first tour! If you ask Laura what she would have done differently, she doesn’t hesitate. “I would have asked for help sooner!” she says. Heather Babcock believes that when you love what you do every day, then you will not only have a life you love, but the money will follow. Heather started her own small business within Hair Lines Salon in Los Osos. In the summer of 2013, the owner of the salon indicated that he was thinking about selling, and it occurred to her that maybe she could buy it. She shared the idea with a client who suggested that she speak with someone at Mission Community Services Corporation. Heather just wanted to find out if it was possible to buy a business within the next few years, but her MCSC counselor Lorna Whiteaker asked, “Why wait? Let’s do the research now. Is the idea financially viable? Is the owner ready to sell? Let’s find out!” So, in her trademark style, Heather rolled up her sleeves and got to work.